Actually care enough to remember. 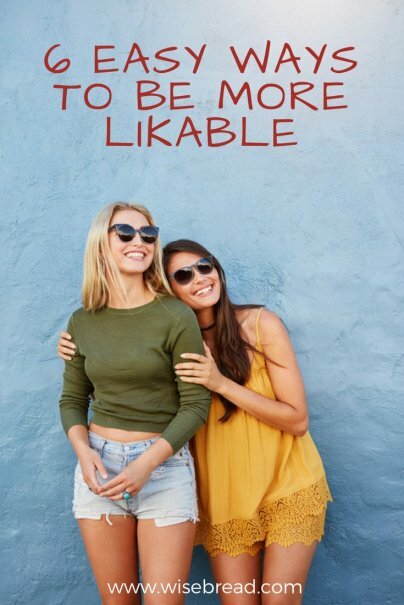 Beyond an approachable demeanor, having a sense of humor can be an effective tool in getting people to like you. Just be sure you use the right kind of humor, which means not being offensive and only using neutral targets or things you have in common. I often find my humor is aimed at myself. Some may call it self-deprecating, but it's more of a way to find common ground with others and lighten the mood. Humor can help in many ways, as it makes you more enjoyable to be around, diffuses tension, and puts people at ease, just to name a few benefits. Sharing something about yourself with others makes you more relatable and can give people the chance to make an instant connection or even commiserate with you. Sharing personal details doesn't have to be about heavy or life-altering things, however. Try starting out with the smaller stuff, like mentioning an interest or favorite place, which is easy to share and ultimately can strike a chord with someone. People love it when others end up having something in common with them. And, even if what you share isn't a mutual thing, it can still make you seem more down to earth or interesting when you open up. What are some other helpful skills that you can add to the list? Start by sharing something in comments! Out of the 6 things, I find remembering names to be the hardest. Will check out that Forbes' article on how to get better at it.